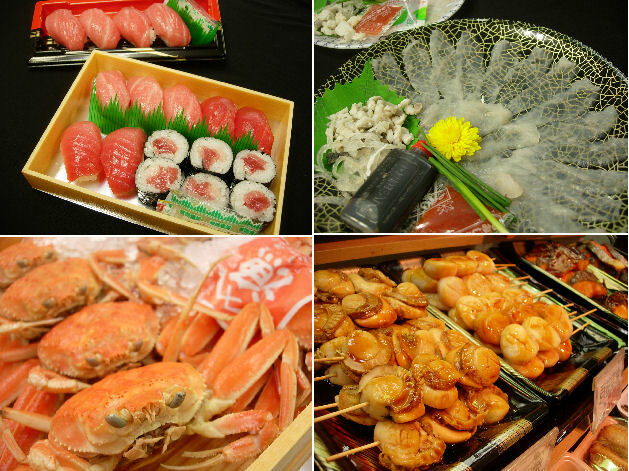 Osaka is called ‘the Gourmet City.’ Kuromon-ichiba is renowned as ‘the Central Kitchen for the Whole Nation’, which means you can obtain whatever food you want there. Kuromon-ichiba originally opened in 1822(the end of the Edo Era). Since then, there have been a variety of stores(total number 180), such as seafood shops, vegetable shops, fruit shops and all kinds of restaurants and cafes. These businesses have been very busy and successful over the years. One of these businesses is Kuromon Sanpei, where we serve you the freshest fish. From time to time, we have ‘a Maguro Show,’ where we cut and fillet a whole tuna fish in front of you. You can enjoy watching how we do it and buy fresh tuna at the same time. Welcome to Kuromon-sanpei! 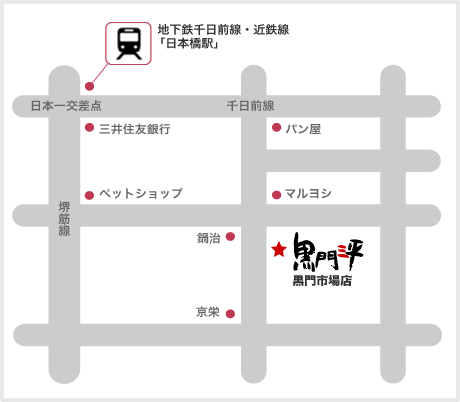 ★Subway Sennichimae Line; Get off at Nihonbashi Station, and depart from gate 10. From the gate, a couple of minutes’ walk to the Kuromon Ichiba. ★Subway Midosuji Line; Transfer at Nanba Station to the Sennichimae Line. Get off at Nihonbashi Station. ★Subway Tanimachi Line; Transfer at Minamimorimachi Station to the Sakaisuji Line. Get off at Nihonbashi Station. ★From Kansai Airport; Nankai Line; Transfer at Nanba Station to the Sennichimae Line. Get off at Nihonbashi Station. JR Line; Transfer at Nanba Station to the Sennichimae Line. Get off at Nihonbashi Station. ★This service is available only for the customers who buy things from us. 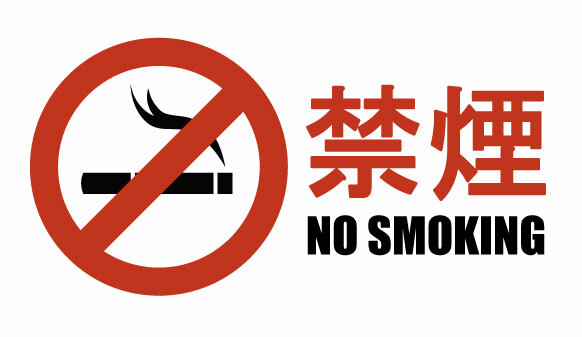 ★Please cooperate with non smoking. ★The tables are only available for food purchased here. ◆You can get a free bowl of akadashi miso soup for each bowl of rice. 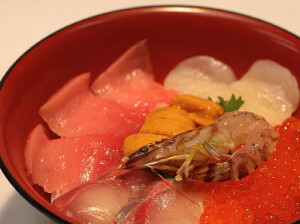 It is special bowl of rice.It is tooped with seafood such au fresh raw tuna,scallop,cuttlefish,salmon,salmon eggs,prawns and crabs. You can enjoy a great variety of tasts in one bowl. Oyako-don is one of the most popular bowls of rice cooked in Japanese homes. It is a bowl of rice topped with chicken and egg. 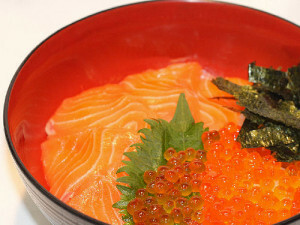 Our kaisen oyako-don is topped with slices of salmon and salmon eggs instead of chicken and egg. This is the most simple Japanese style bowl of rice. It is topped with slices of fresh tuna. 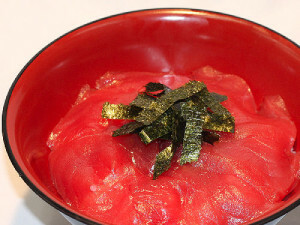 Chutoro is a rich tuna. Enjoy its rich taste. This is a special bowl of rice topped with Today’s fresh fish. Please feel free to ask us about it. 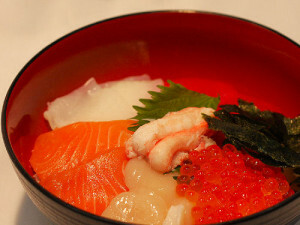 Funamori Fish Dish is a specially decorated dish. The dish is served on a boat-shaped plate. Various fresh sashimi, raw sliced fish are dished up on that unique plate. You can choose whatever fish you like. Just let us know. 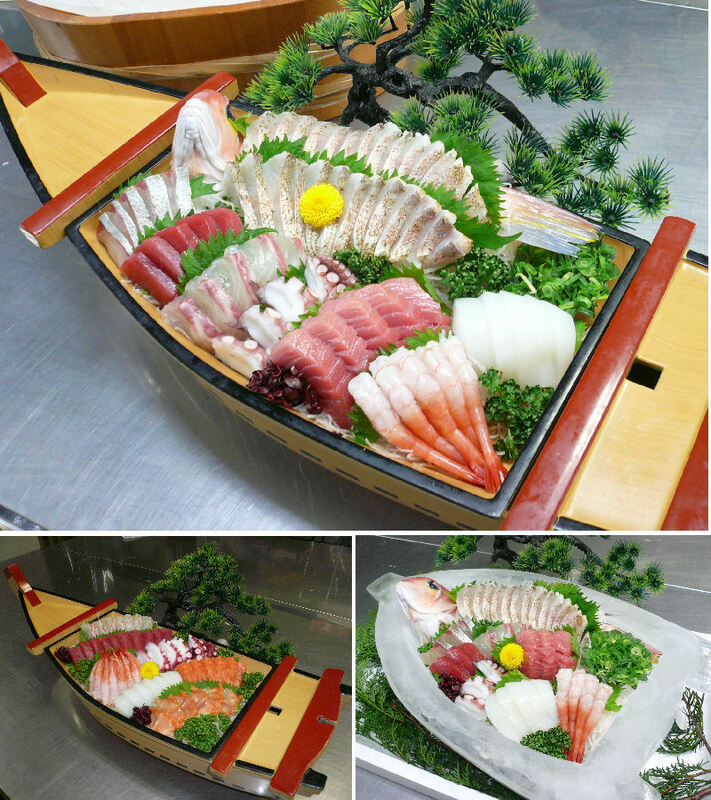 ①Naturally, the seafood we serve comes fresh from the sea. The seafood we buy changes from day to day. Everything depends on the weather. Therefore, unfortunately, we can not always serve you what you want. ② We aim to provide the best service we can for each and every customer. Since we prepare everything with the greatest of care, we apologize in advance for cases where you might not get served as quickly as you would expect. 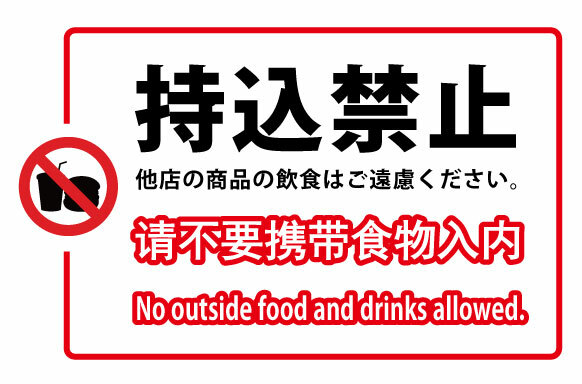 ③ We apologize in cases where we sell out of food which you wish to order.